Fun to be in the Spotlight….Or should I say Seal-Oil Lamplight? 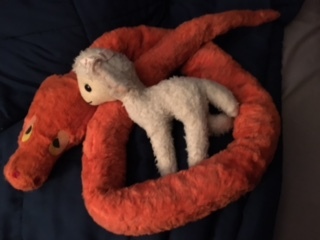 Snakey and Lambykin, from my 3rd grade storytelling days. 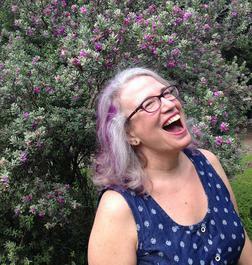 When Grendel’s Mother received an award, Literary Classics interviewed me. That was months ago and I’d almost forgotten about it. Now it has been posted. The segment above comes from that exchange which you can read in its entirety here. When I went to Las Vegas for the award ceremony, we had a fabulous time! Here are photos from that event.